Monsanto’s Roundup herbicide is toxic, causes insect and weed immunity, and it has been found in 75 percent of air and rain test samples in at least one part of the United States. The US Geological Survey recently concluded a study in which samples of a variety of chemicals were traced in the air and rain around the Mississippi Delta agricultural region. Roundup was the most commonly found toxin in 2007, which means that the potentially carcinogenic compound is in the vast majority of the air and rain surrounding the area. Monsanto’s flagship product, glyphosate, commonly known as Roundup herbicide, is the most commonly used herbicide in the US. But in recent years, studies have found that the herbicide is even more toxic than originally thought, but no change in regulation has accompanied that discovery. In fact, Roundup has actually caused weeds and insects to build up immunity to the toxin, forcing Monsanto to make the product stronger and farmers to apply more to crops, such that more of the toxins are being released than ever. 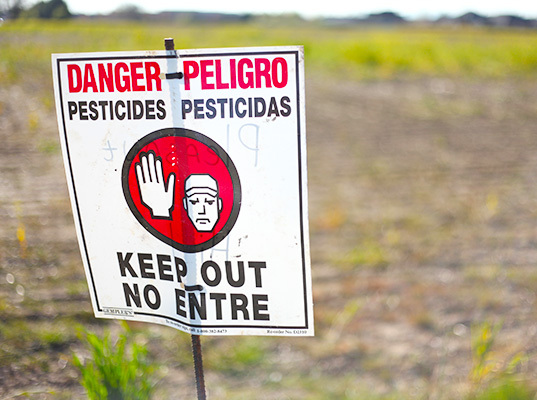 Research has linked Roundup to Parkinson’s disease and cancer, and in Argentina, in an area where Roundup is frequently used, 80 percent of children have the toxin in their bloodstream and struggle with a variety of health problems. The study, soon to be published by Environmental Toxicology and Chemistry journal, also found additional pesticides in the air and rain with effects just as toxic as Roundup, if not more so, though in lesser amounts than the common herbicide. 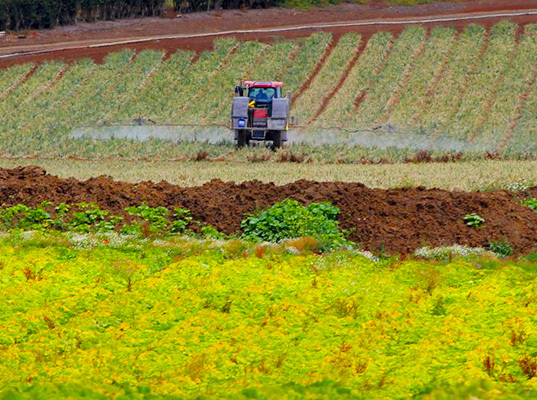 The Netherlands rules on RoundUp do not take effect until the end of 2015. Lots of time to focus on other weed control techniques, but all safer than glyphosate. Monsanto's Roundup herbicide is toxic, causes insect and weed immunity, and it has been found in 75 percent of air and rain test samples in at least one part of the United States. The US Geological Survey recently concluded a study in which samples of a variety of chemicals were traced in the air and rain around the Mississippi Delta agricultural region. Roundup was the most commonly found toxin in 2007, which means that the potentially carcinogenic compound is in the vast majority of the air and rain surrounding the area.